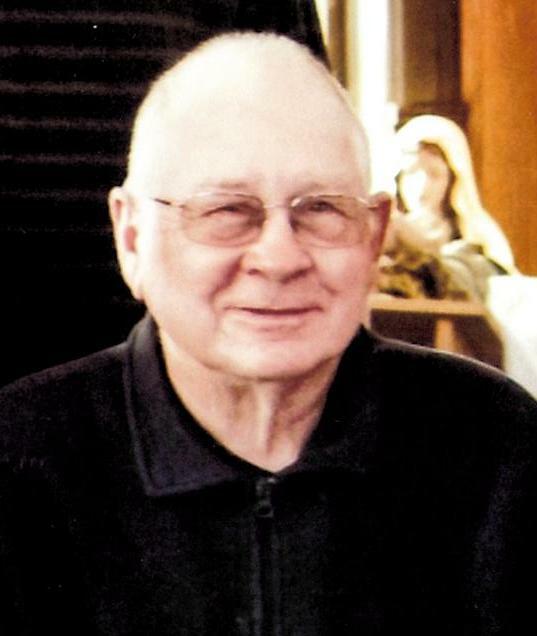 Lyle Francis Edelman, 73, of Sabetha, KS passed away on Monday, March 18, 2019 at the Sabetha Community Hospital. Lyle was born on March 1, 1946 in Sabetha, KS the son of Phillip and Elizabeth (Sigmund) Edelman. Although living with diabetes, having been diagnosed at age 5, Lyle was determined to live life to its fullest. He went to school in Sabetha and graduated in 1964 from Sabetha High School. Lyle was very active in FFA, serving as secretary his senior year. After high school, Lyle continued his education at Kansas State University. However after attending for a year, he felt the call to return to the family farm to do what he loved, raising cattle and farming the land. In 1995, he helped establish SweetPro Feeds in Horton, KS. Lyle married Lyla Mae Rogers on January 24, 1970 at the Fairview United Church of Christ. To this union was born one son, Ryan Phillip. As much time as Lyle dedicated to the farm, he was as equally involved in the lives of people around him. Lyle served on the boards of Nemaha County Water District #3, the county Conservation District, and the Fairview United Church of Christ. Lyle and family were one of the founding families of the Woodlawn Meadowlark 4-H Club. He served as a club leader. Lyle was always there for neighbors that needed help fixing equipment, handling livestock, or just needed someone to talk to. Lyle’s true passion was his family. In their earlier years, Lyle and Lyla spent many weekends water skiing with friends, visiting family, and going to the Ozarks. Lyle helped coach his son’s baseball teams, watched countless events, and shared time working together on the family farm. Lyle was always there for his daughter in law helping around the yard, fixing stuff she needed, and having countless conversations about day to day issues. His greatest joy however was his grandchildren. Spending time with his grandson shooting guns and working in the shop, going to his granddaughters’ softball games, and rides in the Ranger on the farm were just a few of the things he cherished the most with them. Lyle is preceded in death by his parents, Phil and Elizabeth. Lyle is survived by his wife, Lyla of the home; a son, Ryan and his wife, Brandy (Epple) of Sabetha, KS; grandchildren, Kendrick Ryan, Laura Elizabeth, and Ava Mae of Sabetha, KS; two sisters, Phyllis Edelman of Sabetha, KS and Marilyn Edelman Roelke and husband, Don of Mesa, AZ; and the SweetPro Family. Funeral service will be held Saturday, March 23, 2019 at 10:30 a.m. at the United Church of Christ in Fairview, Kansas. Visitation will be Friday, March 22, 2019 from 6:00 to 8:00 p.m. at Popkess Mortuary in Sabetha. Inurnment will be made in the Sabetha Cemetery at a later date and time. Memorial contributions may be made to the Sabetha High School FFA Chapter or the Sabetha High School Band, sent in care of Popkess Mortuary, 823 Virginia Street, Sabetha, KS 66534.